Kathy Kelly is a powerhouse! As the Executive Director of The Fort Worth Chapter, Texas Society of Certified Public Accountants, Kathy and her team serve approximately 2,600 members. 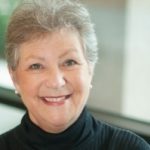 Kathy has served the TSCPA for more than sixteen years and handles marketing and sales communications, volunteer leadership, human resources and financial management, and association management. Kathy is a no-nonsense strategist, who knows her members by name and takes the time to understand their individual goals and the goals of their organizations, too. Kathy envisions innovative programs that fulfill her members’ needs and she has developed a progressive, creative team who are always willing to serve. We are pleased to feature someone of her caliber and character in this month’s leadership spotlight. KK: I admire Barry Melancon’s approach to leadership. I’ve observed his work with volunteer leaders and staff, and heard several presentations he gave addressing challenges facing the profession. He does an outstanding job of evaluating challenges and motivating others to revise their views or take action. KK: I believe the single most important leadership attribute is respect. I translate this as willingness to do the job oneself. My father says one should never ask someone else—a subordinate, a peer, a colleague—to undertake a task one would not do oneself. I’ve taken that to mean that a leader should always respect a colleague’s time as if it were your own. I think this attribute is particularly important because mutual respect is essential to trust—and each of us must trust the person we see as a leader. KK: I look for creative intelligence in emerging leaders, as expressed by interest in subjects outside their own field or current experience. I find that people who are curious and information-seeking are often confident and willing to take risks. An emerging leader who is unwilling to consider data that disagrees with his or her assumptions, or alternative solutions to problems, is much less likely to energize followers. KK: My greatest challenge in developing leadership in others is abandoning control—which amounts to being willing to risk failure when placing a project in the hands of someone else. So for me, developing leadership in others involves handing over a project or issue and staying out of the way—but also standing by to provide additional resources, coaching and analysis of results, as appropriate. KK: Those seeking to step into leadership must find ways to distinguish themselves from their peers. In my work within public accounting firms, and within this association, I’ve seen individuals self-identify for larger leadership roles simply by being willing to spend extra time, volunteer for a task, or assist on a project not directly within their work group. Almost any action that displays an understanding of the good of the whole organization is significant to me. Over time, people willing to go the extra mile, and who have the self-confidence to try something not quite within their comfort zone, are noticed. KK: Diligent. Encouraging. Expressive. Diligent, because I always strive to work at least as hard as those I lead. Encouraging, because I try to see challenges from the other’s perspective and incorporate that insight into my expectations. Expressive, because I try to communicate challenges or assignments in terms of strategic, as well as tactical, goals. It is always interesting and insightful to hear the three words that the leaders we feature here choose to describe themselves. Kathy’s three words certainly paint the picture of who she is as a leader and what it is like to work with her. What are the three words YOU would use to describe your leadership style? We would love to hear what you come up with in the comments section below!